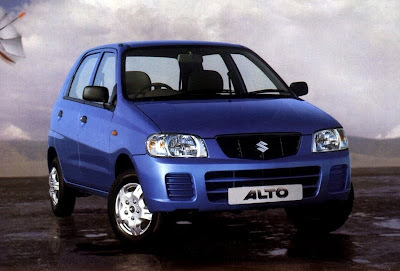 The country's biggest auto manufacturer, Maruti Suzuki is likely to introduce a new version of second largest selling car 'Maruti Alto' which will be available with 1.0L K-series all-aluminum petrol engine. Maruti has already commenced delivering the BS-IV compatible version of its best-selling Alto in India, powered with the same 796cc MPFI 3-cylinder gasoline engine. No any technically changes have been made in the BS-IV compatible Alto, besides the addition of new integrated headrests in the interiors. World's major car players are coming-up with their respective cheap small cars in India. Maruti's long held of more than 50 percent market share in the small car segment. Few months back, many new small cars have been introduced in the Indian auto market, such as Ford Figo, Chevrolet Beat, Volkswagen Polo etc. On the other hand, India's leading players are also ready to launch its new small cars like Nissan Micra and Volkswagen Polo 1.6L(a new version of previous model). 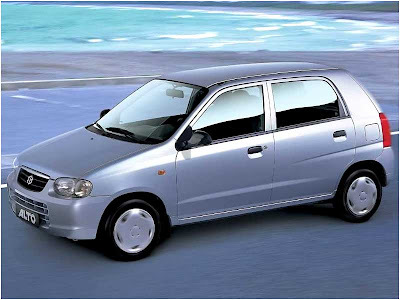 Maruti Suzuki is expected to be launched its another small car, called as Maruti Cervo soon in India. The company has not yet officially announced about it. According to news sources that the new small model will expected to be launched by July 2010. MSI is already using this 1.0L K-series engine in its popular cars like Maruti A-Star, Estilo and recently launched a new modified version of Maruti Wagon R. On the other hand, Volkswagen Vento, Skoda Yeti and Tata Aria are also ready to roll out in the Indian auto market.